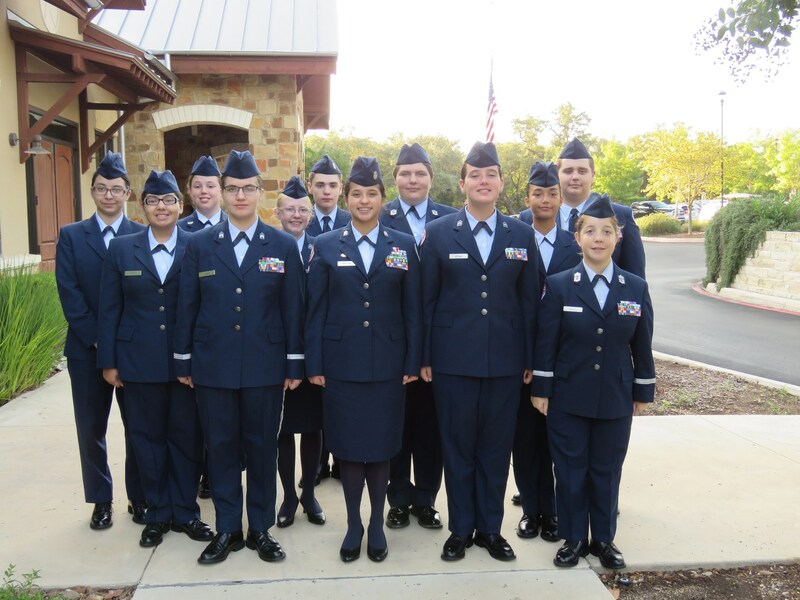 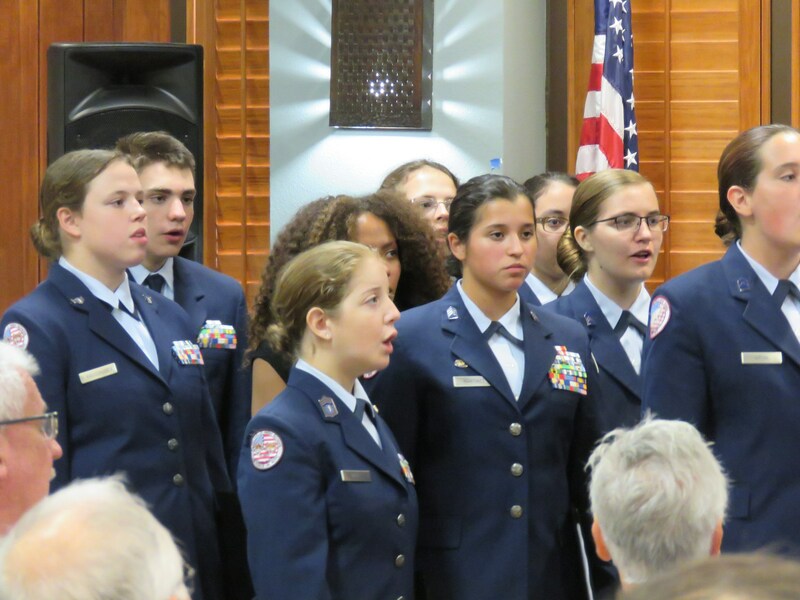 Air Force JROTC » ROTC Chorale Soars to High Note for Veterans! 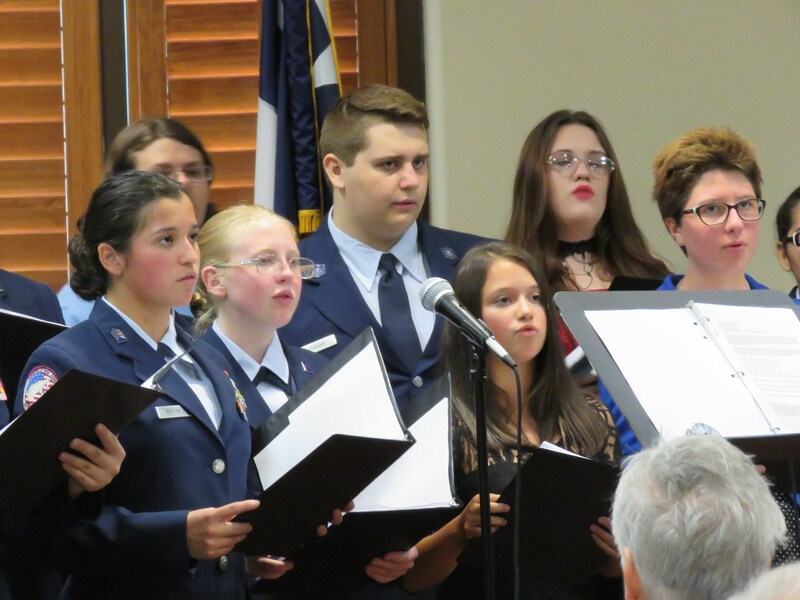 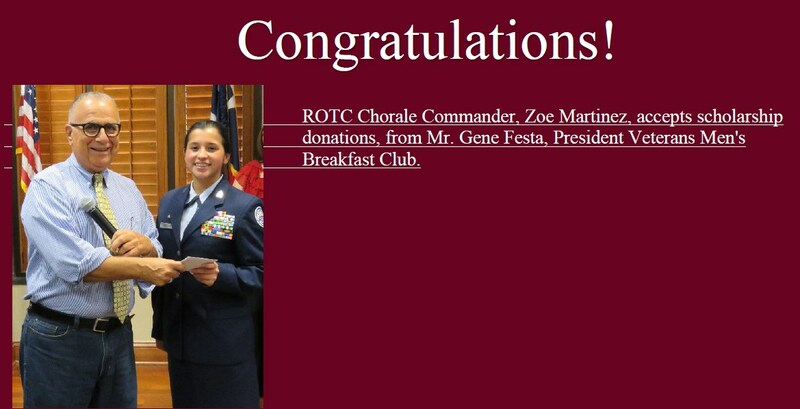 "ROTC Chorale Soars to High Note for Veterans"
Friday, the Floresville High School ROTC Chorale received two standing ovations singing their new program, America In Song. Over 200 Veterans and their spouses of the San Antonio Del Webb Men's Breakfast Club got on their feet after rousing Chorale presentations of "Ragged Old Flag" and "Battle Hymn of the Republic". 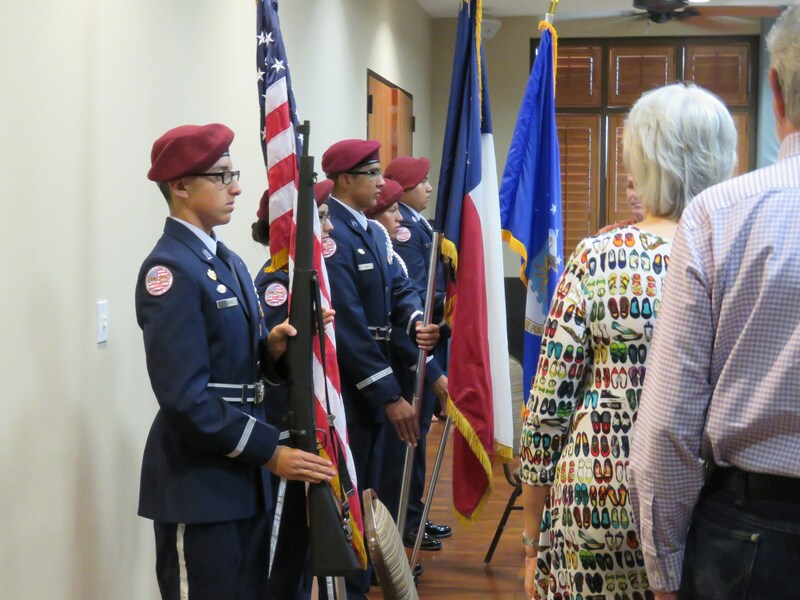 Generous donations given will send three FHS ROTC cadets to the Cadet Leadership School next Summer, Schreiner University. 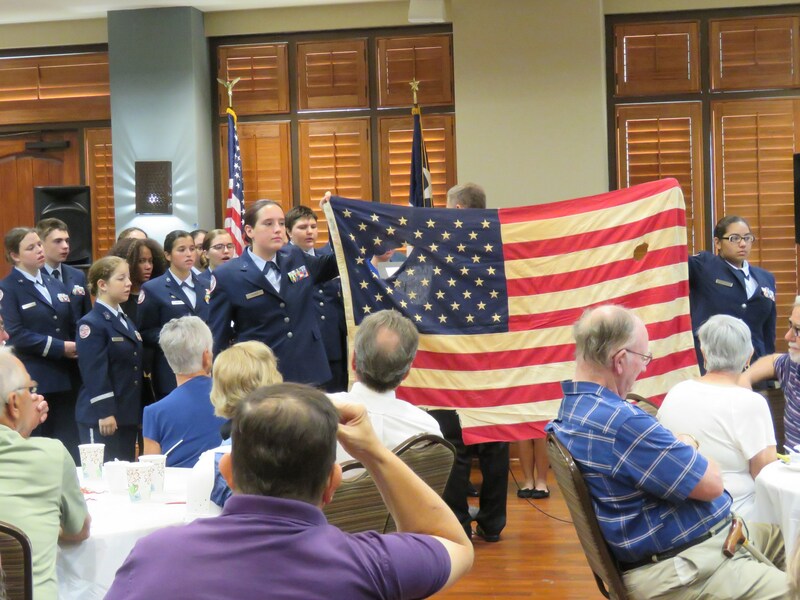 Thank you members of the San Antonio Veterans of the Del Webb Men's Breakfast Club and their spouses! 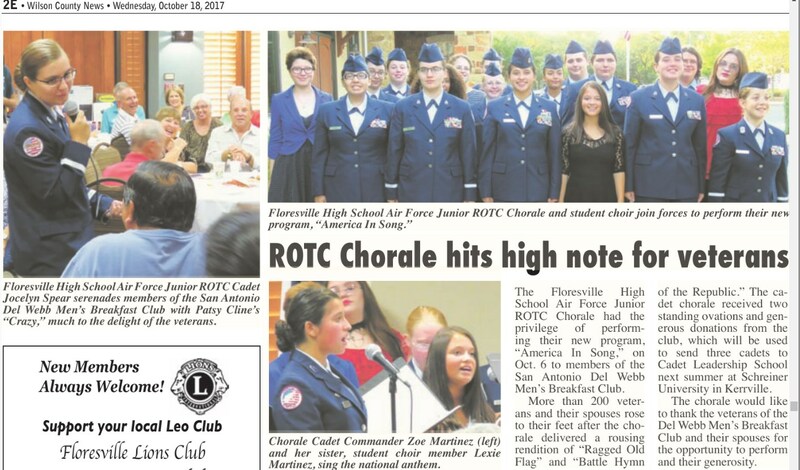 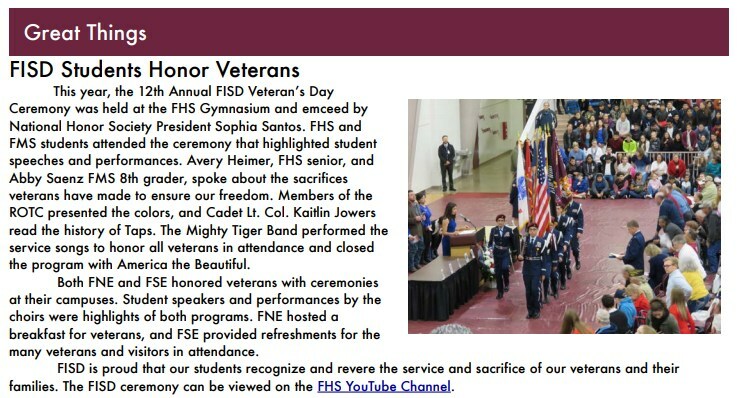 The FHS ROTC Chorale will sing this program next, Veterans day weekend, for the Floresville and Wilson County community. 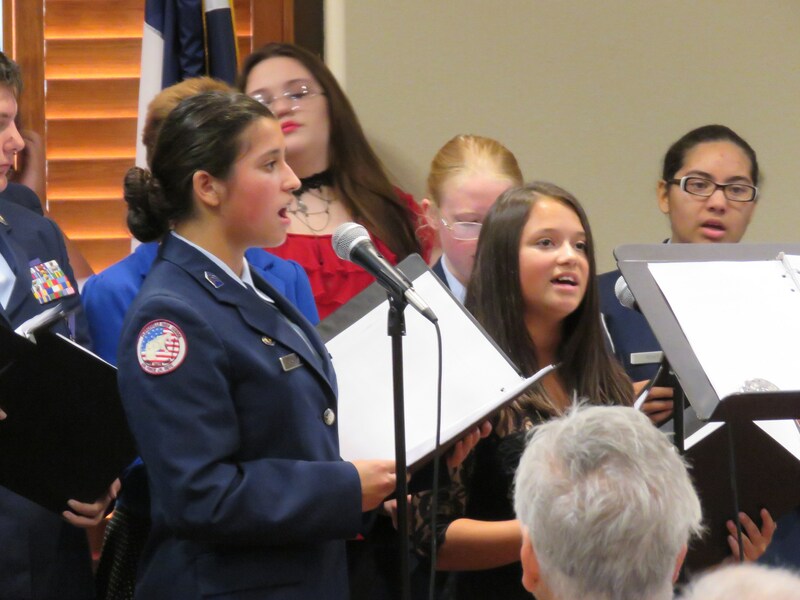 Photo #1: Chorale Commander, Cadet Zoe Martinez (left), and her sister, Student Choir member, Lexie Martinez, sing the National Anthem much to the delight of the crowd! 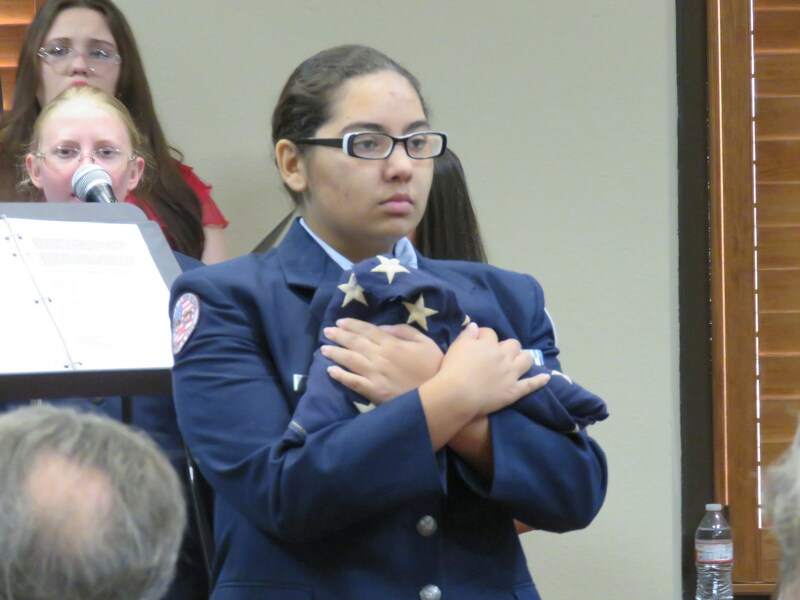 Photo #2: Cadet Savanna Vipond (left) and Cadet Regan Reyes (right), present the "Ragged Old Flag". 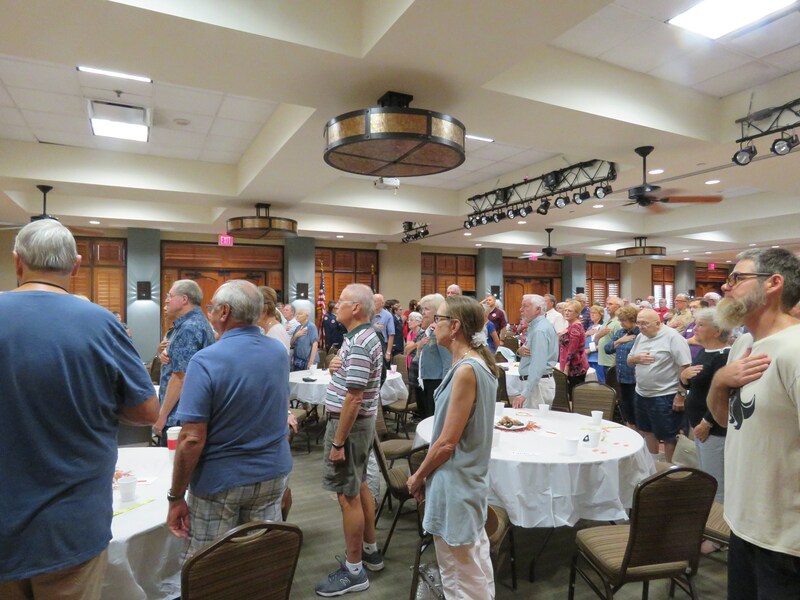 Photo #3: Veterans of the San Antonio Del Webb Men's Breakfast Club and spouses on their feet after the Battle Hymn of the Republic! 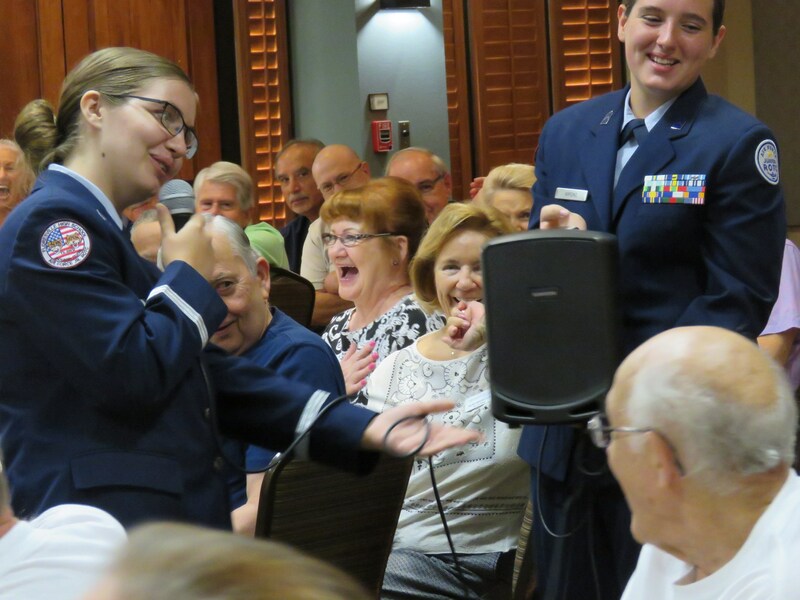 Photo #4: Cadet Jocelyn Spear sings Patsy Cline's "Crazy" much to the delight of the Veterans. 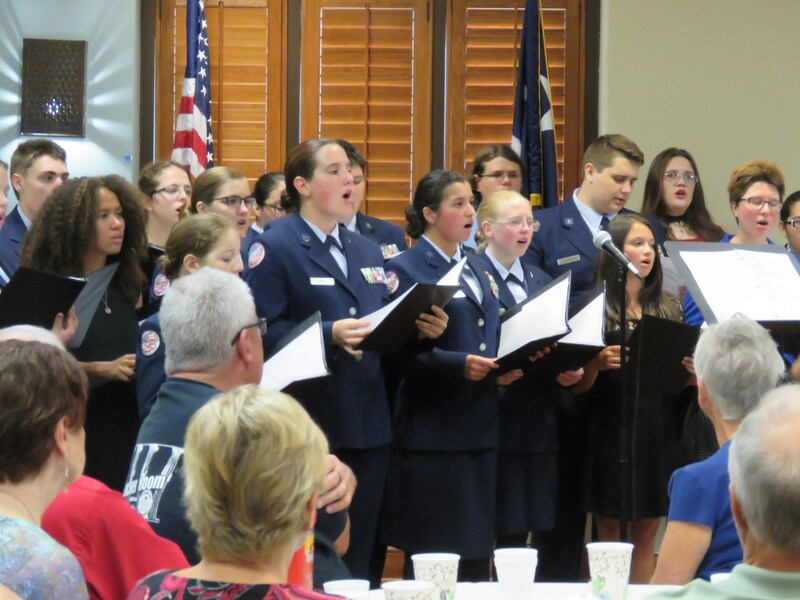 Photo #5: FHS ROTC Chorale.